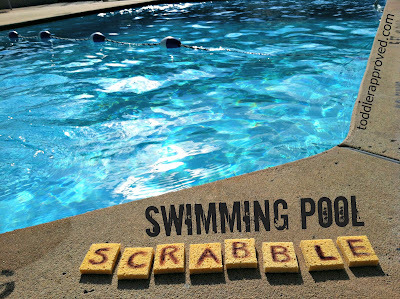 Scrabble in the pool? Yes, please! I love this fun idea. Although first things first- G needs swimming lessons. Not sure how they will go down, because of his extreme dislike of getting his face wet.